How do I obtain the current project (IOTAProject) interface? Is there any OTA support for parsing a source file or obtaining Code Insight information? Should I compile my wizard as a DLL or a Package? How can I get notified when a source file has changed? How can I get notified when a form designer or component is selected? How can I do custom painting or drawing (colors, lines, etc.) in the IDE code editor? How can I obtain the Name property of a form? 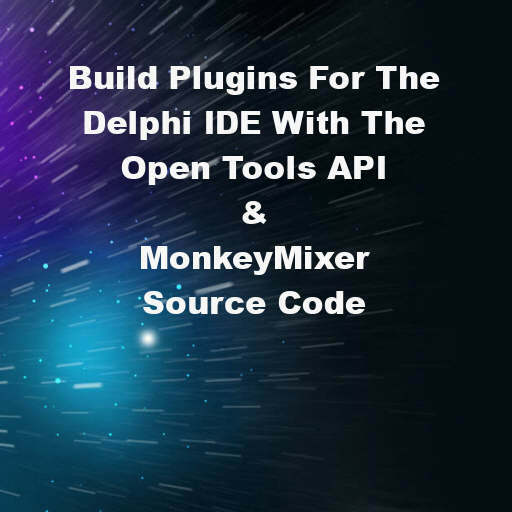 Head over and read the full FAQ about building your own plugins for the Delphi IDE using the Open Tools API and download the sample IDE wizard project.